Find your Representatives on the House Appropriations Committee. Visit www.GiveVoice.org for more information and additional resources. Rescinding Spending: The House last week narrowly passed a bill to cancel $15 billion in previously appropriated funds, including more than $7 billion in unspent funds from the Children’s Health Insurance Program (CHIP). The nonpartisan Congressional Budget Office reported that the bill would not cause any child to lose health insurance and would not limit current spending. Federal lawmakers regularly rescind unspent funds, but typically do so as “pay fors” to cancel out spending increases on other matters. The fate of the rescission bill in the Senate is uncertain. Scrubbing Donor Disclosures: The Internal Revenue Service should stop requiring that 501(c)(4) social welfare organizations submit their donor lists to it, Senator Ron Johnson wrote in a letter to the IRS and the Treasury Department. While acknowledging that federal tax law mandates that charitable 501(c)(3) nonprofits disclose donors (using Form 990 Schedule B), he asserts that the disclosure form is not required by law for other types of nonprofit organizations. Senator Johnson, writing in his capacity as Chair of the Senate Homeland Security and Government Affairs Committee, is calling on government officials to address his concerns in a meeting this week. Restructuring Education Giving: A long-awaited, but still surprising bill from Representative Tom Reed (R-NY) would limit the deductibility of charitable donations to colleges and universities for purposes other than providing scholarships to students from low-income families. Under the bill, H.R. 5916, only donations restricted to scholarships for targeted students would be eligible for a 100 percent deduction on federal tax returns. Taxpayers restricting their donations to anything other than these scholarships could deduct only $5,000 of the total and receive only a 25 percent deduction for unrestricted donations. Among other provisions, the legislation would impose an excise tax on the investment returns of endowments of certain colleges and universities that don’t spend what the bill sponsor considers enough to reduce the cost of education for lower-income families. Undoing the Tax Act: A spate of bills recently introduced in the House demonstrate a desire to undo some or all of the new tax law enacted at the end of 2017. 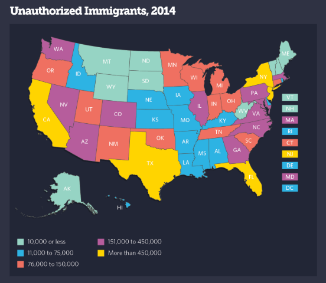 A measure introduced by Rep. Dana Rohrabacher (R-CA), H.R. 5872, would double the state and local tax deduction limitation from $10,000 to $20,000. Representative Jared Polis (D-CO) has introduced a bill, the Students Over Special Interests Act (H.R. 5928), that seeks both to repeal the Tax Cuts and Jobs Act and forgive all outstanding federal student loans. Neither bill is expected to see action this year. Promoting E-Filing: In 2018 Report of Recommendations, the IRS Advisory Committee on Tax Exempt and Government Entities (ACT) reiterated its call for requiring that all nonprofits electronically file their Form 990 informational tax returns. According to the ACT, “Universal e-filing will save costs, result in more accurate returns, and improve the availability, reliability and transparency of EO data.” The House passed a bill in April to require e-filing. Are taxpayers in blue (more liberal, Democratic-leaning) states better off after the federal tax law than before? That’s the question in “Blue states find ways to undercut GOP tax law.” The answer in the Politico analysis is a clear “yes,” assuming the states enact certain tax avoidance schemes and assuming further that the IRS doesn’t shut down the approaches. To date, three states – Connecticut, New Jersey, and New York – have established “SALT workarounds,” i.e., laws that allow state taxpayers to pay their state and/or local taxes (SALT) through contributions to government-run charities. The workarounds allow taxpayers to avoid the new $10,000 cap on federal deductions for SALT by instead claiming deductions for uncapped charitable donations. Politico observes that the state workarounds also enable their taxpayers to combine several types of taxes – income, sales, property – between which taxpayers previously were required to choose. As a result, taxpayers in those states may now be able to deduct more on their federal taxes than before the federal tax law was enacted, and states could reap increased revenues as taxpayers overpay state obligations, via charitable contributions, in order to maximize federal tax breaks. Many nonprofits have expressed reservations about the SALT workarounds because of concern that the laws could reduce giving to true charitable organizations, anxiety about public and donor confusion, and questions about governance and transparency. Those may become moot when the IRS and Treasury issue proposed regulations that address the legality of the SALT workaround laws. Last month, the IRS announced it will be writing regulations on SALT workaround efforts, warning taxpayers that “federal law controls the proper characterization of payments for federal income purposes.” Scholars have noted, however, that states have been providing tax credits in exchange for charitable donations for many years, including other types of workaround schemes in more than half the states. Even if the IRS and Treasury were to issue proposed regulations, it could take years to resolve as litigation is certain. North Carolina is on the verge of blocking automatic taxation of tax-exempt organizations under state law as a result of the federal tax law that levies unrelated business income taxes (UBIT) on nonprofits that pay for their employees’ parking and transit expenses. A provision in the state budget would ensure that nonprofits will not be required to pay a three-percent state UBIT on the amounts they pay for their employees' parking and transit expenses. Because many nonprofits expressed concerns about this new tax, the North Carolina Center for Nonprofits asked state legislators to "decouple" the state tax code from this new federal tax so nonprofits don't have to pay state income tax (or file state tax forms) for these expenses. The Governor vetoed the budget legislation, but the state Senate overrode the veto last week. The House is expected to do so as well in the coming days. A similar bill to decouple the new tax from state law is pending in New York. Despite boasting some of the best payment protection laws for nonprofits, New York City continues to be chronically late paying nonprofits for services provided to residents, according to an analysis of 59,000 New York City contracts by the New York Post and a recent report from the City Comptroller. Late payments occur for many reasons, including no reason at all. In many instances, the City pays late because it had delayed executing contracts with nonprofit providers. This creates a significant problem, because nonprofits may continue to provide services without final agreements, but under City law cannot be paid for services performed without a signed contract. While all City agencies have been late on some occasions, the Department of Homeless Services has been the most egregious, paying nonprofits late nearly 80 percent of the time since at least 2013. In releasing his report, New York City Comptroller Stringer explained the importance and impact of the findings: “Behind every human services contract are people who need support from our City – food to eat, a roof to sleep under, or someone to care for them. But our slow contracting system is hurting the very organizations that the City’s most vulnerable communities depend on each day. With nonprofits already under pressure from Washington, here in New York City the bureaucratic process only makes their jobs harder." 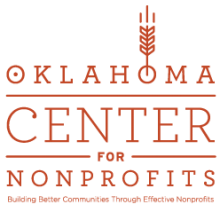 “It’s Officially Election Season and Nonprofits Should Prepare,” proclaims Marnie Taylor, President and CEO of the Oklahoma Center for Nonprofits in a recent article. Likewise, the Wyoming Nonprofit Network has sent its members "An Important Reminder for Campaign Season." And the CT Community Nonprofit Alliance is declaring. “The stakes are high for community nonprofits this election season.” These, and other, state associations of nonprofits are sounding the alarm and equipping nonprofits with the tools they need to promote democracy and engage their fellow nonprofits and voters in nonpartisan ways. The advice from Oklahoma is timely because primaries will be held later this month (June 26). Taylor starts by reminding nonprofits, “we encourage you to tell your folks to vote, but don’t tell them who to vote for. This is part of the IRS prohibition on interfering with elections called the Johnson Amendment.” She goes on, “However, nonprofits can and should educate the public about the issues closest to them.” Taylor provides several pieces of advice, including politely declining requests from candidates and donors for partisan endorsements (based on established law) and reminding staff (paid and volunteer) not to use organizational resources or worktime to engage in “electioneering” activities. The CT Community Nonprofit Alliance reminds charitable nonprofits that as a result of the upcoming 2018 general elections, in 2019 the state will have a new Governor, other statewide constitutional officers, and legislators, and that all but one seat of Connecticut's Congressional Delegation is up for re-election. But wait, there’s more! 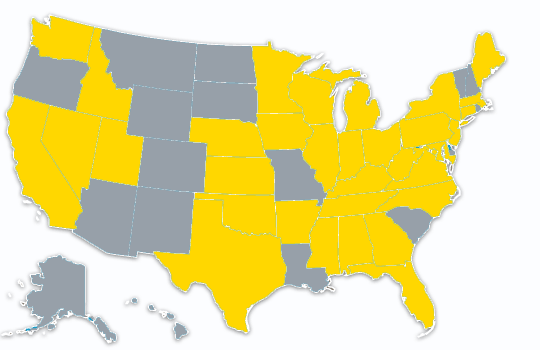 The Alliance is hosting seven regional “Vote or Lose” forums across the state in June and July to discuss what is at stake for nonprofits this election, as well as teach the skills necessary for effectively engaging legislative candidates in strictly nonpartisan ways. To summarize, the upcoming elections will impact the work of nonprofits, and as long as nonprofits remain nonpartisan, they can influence the outcomes for the advancement of their missions and communities. 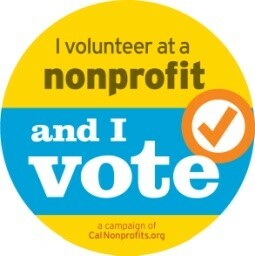 Much more on this topic is available at CalNonprofits’ Vote with Your Mission initiative and Nonprofit VOTE. Two vague provisions of the new federal tax law enacted last December may make your tax-exempt organization (including charitable nonprofits, houses of worship, and foundations) liable for unknown and uncertain taxes for which you may have already missed making the first quarterly payment. But relief may be possible if organizations of all types take collective action. Join the National Council of Nonprofits, the American Institute of Certified Public Accountants, the American Society of Association Executives, and many others in calling on the Treasury Department and the IRS to delay liabilities for these ambiguous new unrelated business income taxes (UBIT) until the government provides clear guidance. Learn more at Taxing Tax Exempts and Other Oxymorons in the New Tax Law. - Vanita Gupta, chief executive of the Leadership Conference on Civil and Human Rights, quoted in Documents Show Political Lobbying in Census Question About Citizenship, New York Times, June 9, 2018. - Statement of the National Council of Nonprofits to the House Appropriations Subcommittee on Financial Services and General Government, May 23, 2018, expressing strong opposition to the inclusion of an extraneous rider to the fiscal year 2019 spending bill, explaining that the provision “would erect unconstitutional and unreasonable hurdles on enforcing the law that ensures nonpartisanship.” The measure is scheduled for consideration by the full House Appropriations Committee on Wednesday, June 13. Can the IRS Stop States' Tax Reform Workarounds?, Liz Farmer, Governing, June 1, 2018, reviewing the arguments for and against state legislation to provide charitable deductions in lieu of state and local taxes. Tax reform leaves nonprofits with ‘tsunami’ of challenges, Wesley Brown, Talk Business & Politics (Fort Smith, Arkansas), June 10, 2018, analyzing the impact of federal tax reform on nonprofits in Arkansas and across the country. Why Liberals Are Mad That Conservatives Want to Exempt Some People From Work Requirements, J.B. Wogan, Governing, May 31, 2018, reviewing efforts of some states to withhold Medicaid coverage unless people work or volunteer, and revealing that proposals to exempt people from those requirements tend to apply only to areas with predominantly white populations. 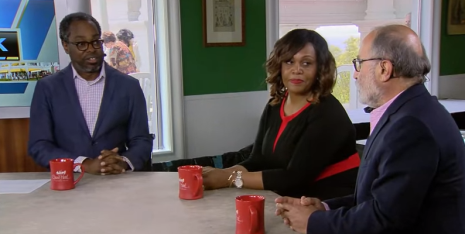 The 2020 Census and Nonprofits in Michigan (8:32), Detroit Public TV, May 31, 2018, interviewing Donna Murray-Brown of the Michigan Nonprofit Association, and Hassan Jaber, of ACCESS, about why nonprofits care about the 2020 Census and why the two nonprofit leaders are co-chairing The 2020 Nonprofits Count Campaign. Also listen to their radio interview, There’s a Lot at Stake for Michigan in the Upcoming Census (3:34), WDET FM Radio in Detroit, Michigan, May 30, 2018. Census Citizenship Fight Will Sway States' Political Clout, Federal Money, Tim Henderson, Stateline, June 1, 2018, providing an overview of the impact of the 2020 Census, including the potential consequences in states if the proposed citizenship question leads to large numbers of individuals refusing to be counted. The projected share of the federal budget deficit in 2028 as compared to the Gross Domestic Product. Source: The Budget and Economic Outlook: 2018 to 2028, Congressional Budget Office, April 9, 2018.